Please note: We are now accepting 2018 self-published works for consideration in 2019. The Gene Day Award for Self-Publishing honours Canadian comic book creators who self-published their work during the previous year (up to the submission end date). Format and content is at the discretion of the creators. 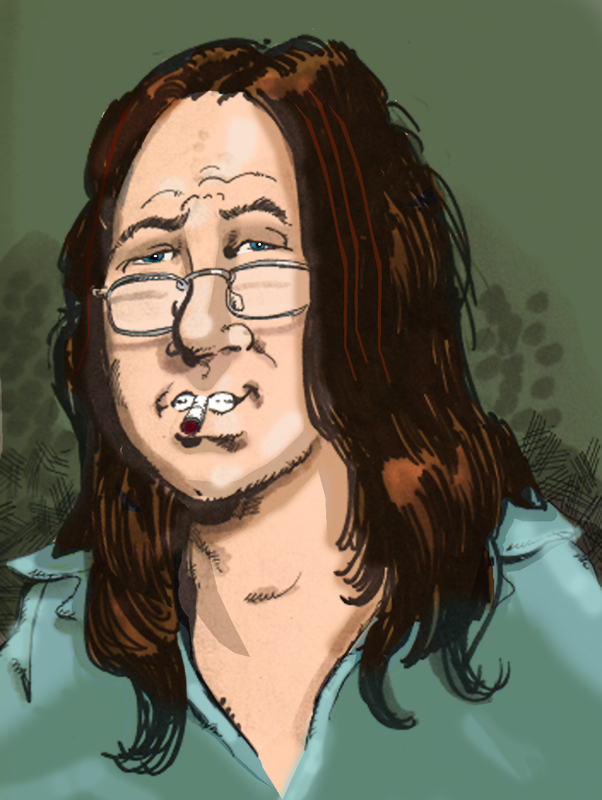 Must include new content, not reprinted material from other sources (such as webcomics). There are no language restrictions for this award. All entries will be reviewed by an independent jury. Entries will be judged individually based on originality, literary and artistic merit, and overall presentation. Closing date for submissions: May 15, 2019. Watch for information on Canadian events where you can submit your entries directly to the Awards Association. The finalists will be announced in June 2019 and the winner will be announced at the Joe Shuster Awards ceremony in TBA 2019. Established in 2004, The Joe Shuster Awards are Canada’s first national award recognizing outstanding achievement in the creation of comic books and graphic novels and are named after pioneering Toronto-born artist Joe Shuster who, along with writer Jerry Siegel, created the iconic super-powered hero, Superman. The name is used with the approval of the Estate of Joe Shuster – Michael Catron, Estate Agent. In 2002, Comic-book writer-artist-publisher Dave Sim and his collaborator, Gerhard, in memory of Sim’s late mentor and self-publishing pioneer Gene Day (née Howard Eugene Day) established the Howard E. Day Prize for outstanding achievement in self-publishing. The prize consisted of a $500 cash award and a commemorative plaque awarded annually at SPACE (Small Press and Alternative Comics Expo) in Columbus, OH. The recipient was chosen by Sim and Gerhard from a pool of works submitted at SPACE the previous year. Each year the duo alternated duties, with one reading all entries received and drafting the Short List of final nominees and the other judging those books to determine the ultimate winner. The Day Prize ceased being awarded as of 2008 with the withdrawal of Sim from participation and has been replaced by the SPACE Prize. The SPACE Prize continues to be handed out annually at the SPACE Expo. Members of the Awards Association had been discussing the creation of an award for Canadian creators who self-publish as far back as 2006. In 2007 it was determined that such an award should also include a financial incentive in the form of a bursary to encourage their efforts. In 2008, members of the Awards Association worked on the logistics of seeking submissions, reviewing and judging an award of this nature. Unlike the other awards, where the lists of eligible work can be derived from published solicitations and shipping schedules, self-published/non-professionally distributed works must be sought out. In December 2008, the Awards Association approached Dave Sim about the possibility of establishing something similar to the Howard E. Day Prize as part of the Joe Shuster Awards as a means to continue to honour Gene Day and offer similar encouragement to Canadian self-publishers. Sim indicated that due to work commitments and other personal reasons he would not be able to participate, but specifically asked that if we chose to name the award after Gene Day that we obtain permission from Day’s family and that the name of the award not be the Howard E. Day Prize. Sim also provided valuable feedback on the logistics of administering an award of this nature. In February 2009, the Awards Association received permission from Gene Day’s widow and brothers to name the new Award for Canadian Self-Publishers after the late Gene Day. 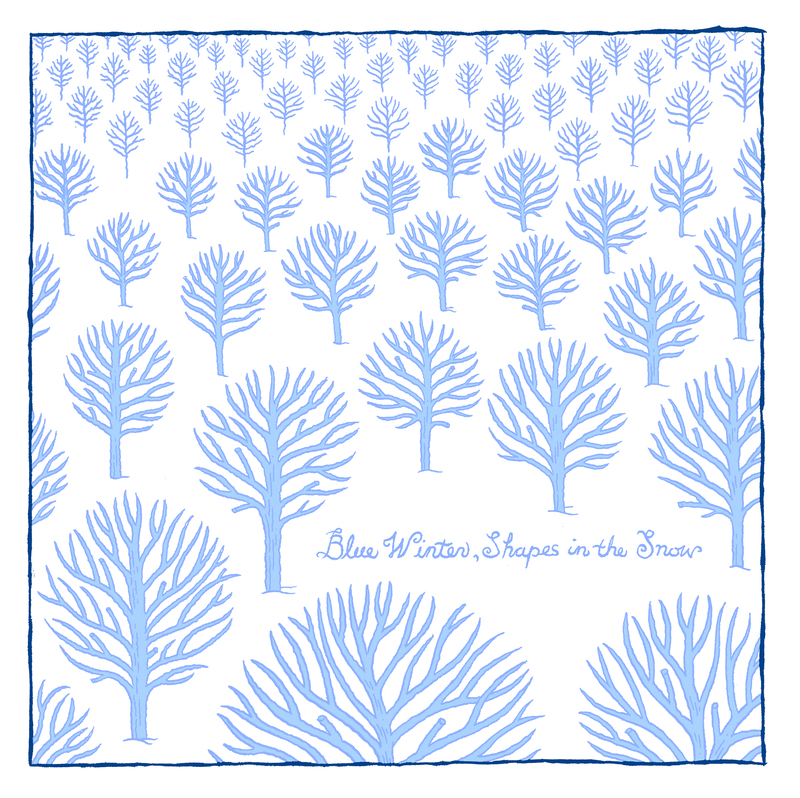 2009 – Jesse Jacobs for Blue Winter, Shapes in the Snow. 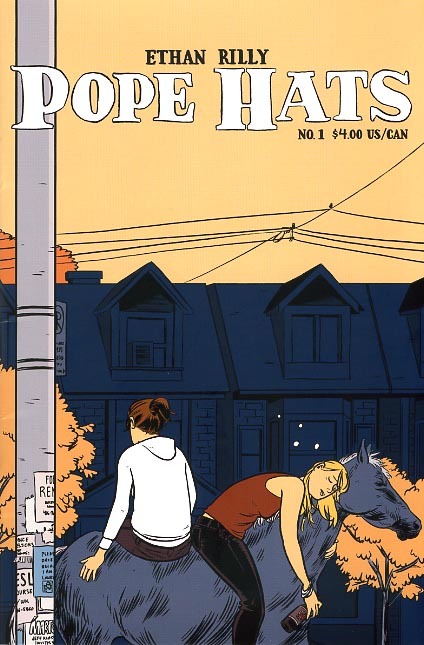 2010 – Ethan Rilly for Pope Hats No. 1. 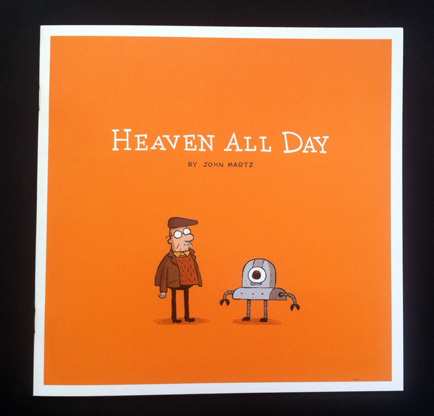 2011 – John Martz for Heaven All Day. 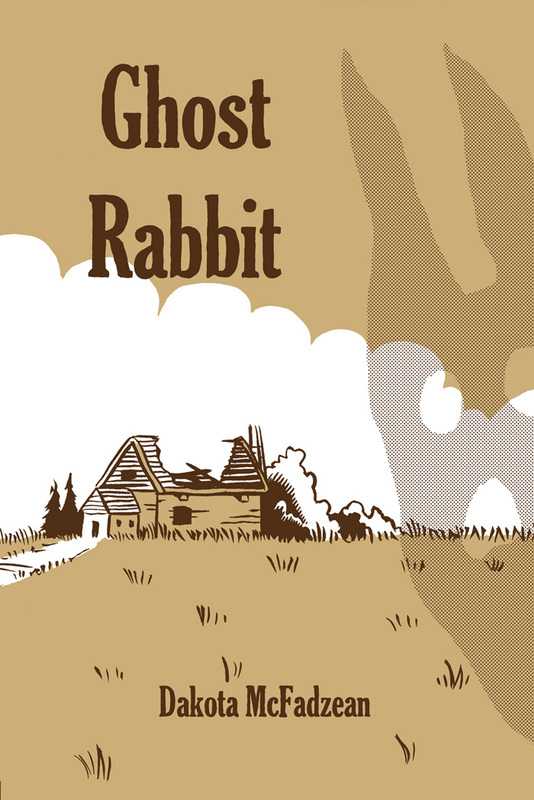 Superior Publishing was a comics publisher based in Toronto that was active between the years 1947 and 1956. After WWII, the Liberal government re-introduced an import ban that included US comics. As the Canadian comics publishers were allowed to reprint and repackage American comics in Canada, this lead to a boom in Canadian comics publishing as many companies sought the reprint rights to popular American comics (instead of creating original ones), and Superior was the leading company at the time to do this. Superior acquired the rights to repackage EC Comics in 1949. Although the import ban was eliminated in 1951 (and American comics flooded over the border again to the delight of many), Superior continued reprinting and repackaging many US titles – including EC titles like Tales from the Crypt. By 1955, the anti-horror comics sentiment had spread far and wide and Superior ceased publisher horror comics completely that year and limped along for an additional year before closing their doors in 1956 and effectively ending comics publishing in English Canada for decades. The US edition of Tales from the Crypt #20 (the first issue of the title, incidentally) is cover dated October/November 1950, so I would surmise that since Superior had the rights to repackage EC Comics from 1949 on, that the Canadian edition was issued shortly afterward, but I’m afraid that I don’t know the exact lag time between first US publication and the Canadian repackaged edition.